Guys, I am SO excited to share my absolute best most favorite hummus recipe here with you today. I’ve been making it exclusively for months and months now. It rules. It’s Nick-tested and Friend-approved. I’ve made a lot of hummus over the years, but I never use chickpeas. Sure it’s not completely 100% traditional hummus, but here’s why: I have a peanut allergy, and chickpeas give me a much slighter but similar reaction, so I try to steer clear of ’em… I KNOW, it’s so sad. Especially because so many awesome vegetarian dishes feature chickpeas. So when recipes call for chickpeas, I almost always sub in white beans instead. And while this hummus can most certainly be made using chickpeas (especially if that’s what you have on hand), I always make mine with white beans. I’ve since switched completely to cooking my beans from scratch (no more canned beans for us! ), because they are more economical and way way way more flavorful and better in the texture category. WAY better. And we were relying way too heavily on the canned variety every single week. Beans cooked from scratch make this hummus truly special. 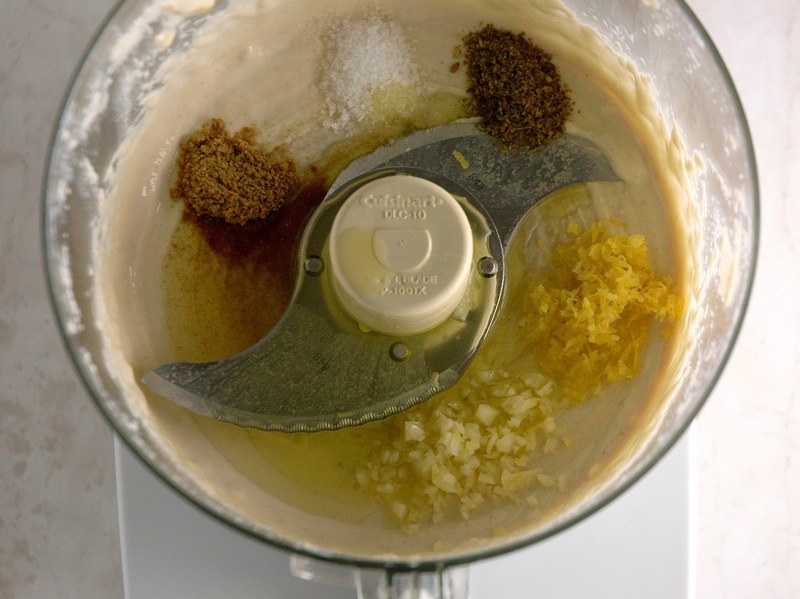 I also added freshly grated lemon zest and one of my favorite spice mixes za’atar for a special and memorable touch. We love it! 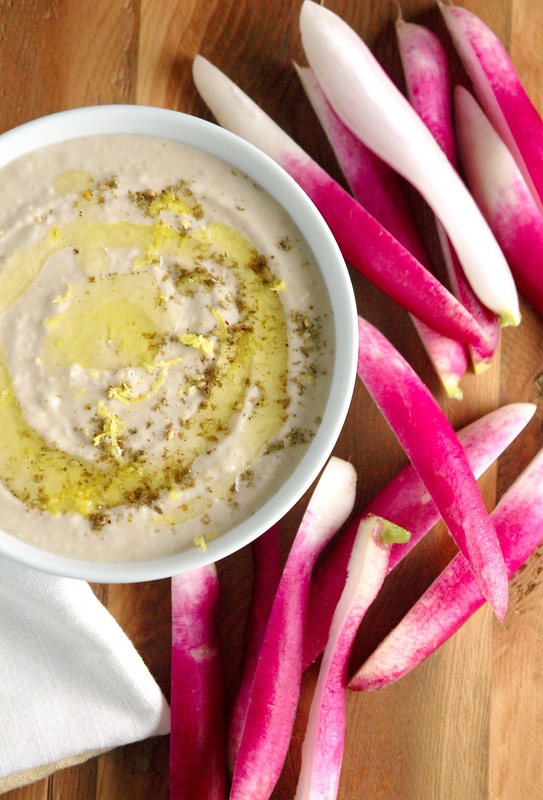 I found the most gorgeous French Breakfast Radishes at the market, and you can be sure they were put to good use to scoop up every last bite of this hummus. I also used the radish greens to make my favorite sauce of late: chermoula. More on that in a future post, promise! Why I’m so excited to share this recipe with you (part 2) is that I actually took PROCESS photos. Ever since I found this recipe by the folks at Inspired Taste, I always use their process. The order in which you process the hummus ingredients makes a BIG difference. 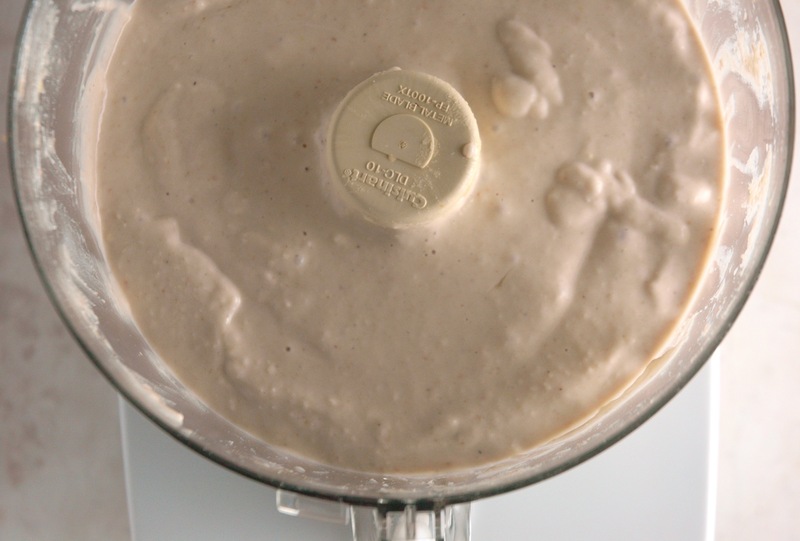 The process yields a super-duper creamy hummus that is, as they put it, better than store bought. It’s on par with restaurant quality hummus (and unfortunately I usually have to pass on that because: chickpeas). The process & process photos! are below. 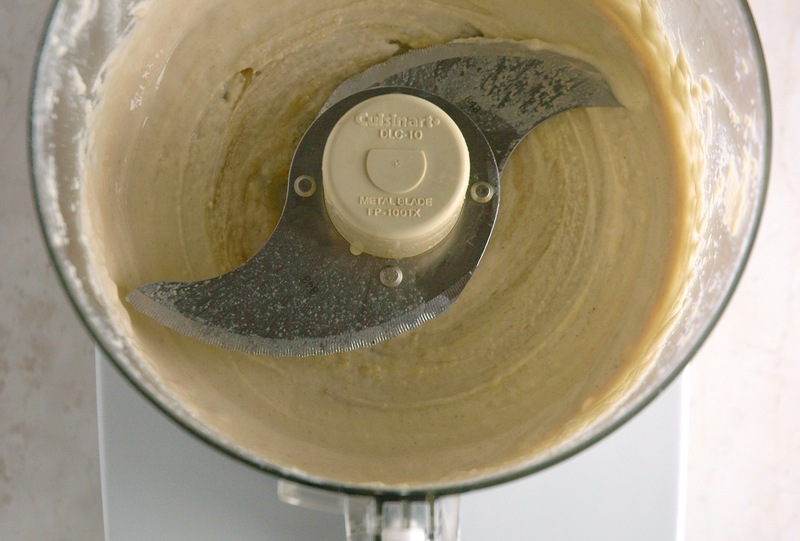 Stick to it and I promise you’ll get perfectly creamy delicious hummus every single time. NOTE: Super Fancy Slideshow Feature made possible by the amazingly talented Nick, technological wizard that he is. 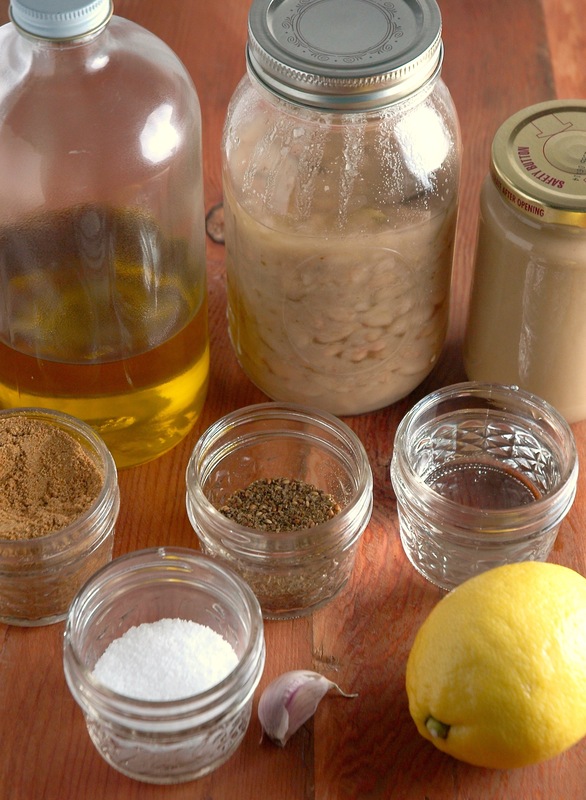 Add the tahini and lemon juice to a food process and blend for 1 minute. Scrape down the sides and blend for 30 seconds. The tahini should have a whipped texture at this stage. Add the garlic, cumin, za’atar, olive oil, half the lemon zest and salt. Process for 30 seconds, scrape down the sides if necessary and process for another 30 seconds. 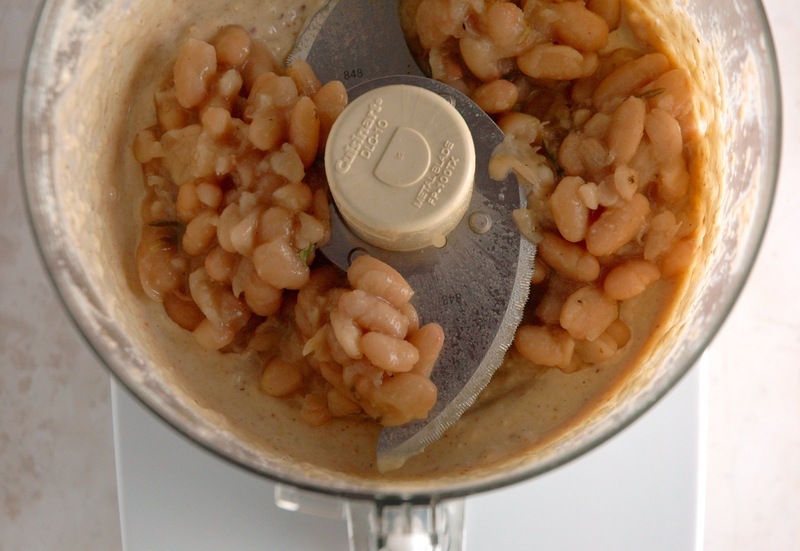 Add half the white beans and process for 1 minute. Scrape down sides and add the second half of white beans to the bowl. Process for 1-2 more minutes, until creamy and smooth. Taste test and dd more salt if necessary. At this stage, the hummus is usually smooth enough for our liking, but if it’s still a bit grainy, add in 1/2 tbsp of water at a time while the processor is running to reach your desired texture. Top with a healthy drizzle of olive oil, the remaining lemon zest and a sprinkle of za’atar. If you have some flaked sea salt, top with a tiny bit of that too! 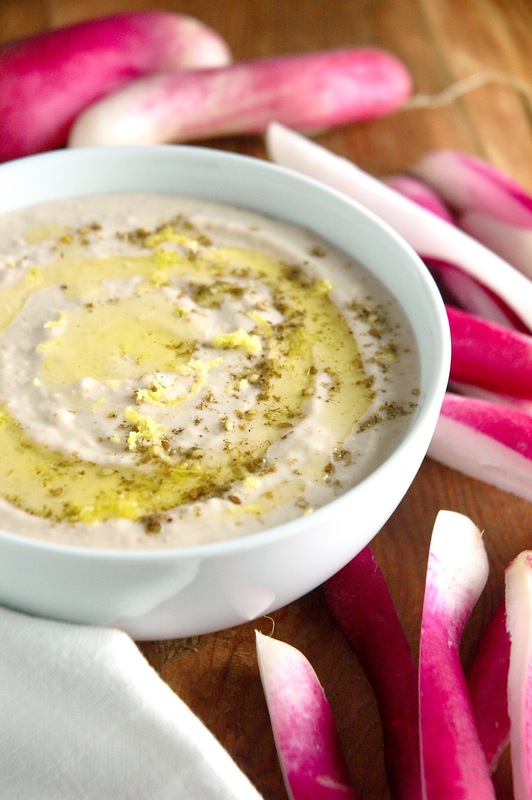 What do you like to dip in your hummus? 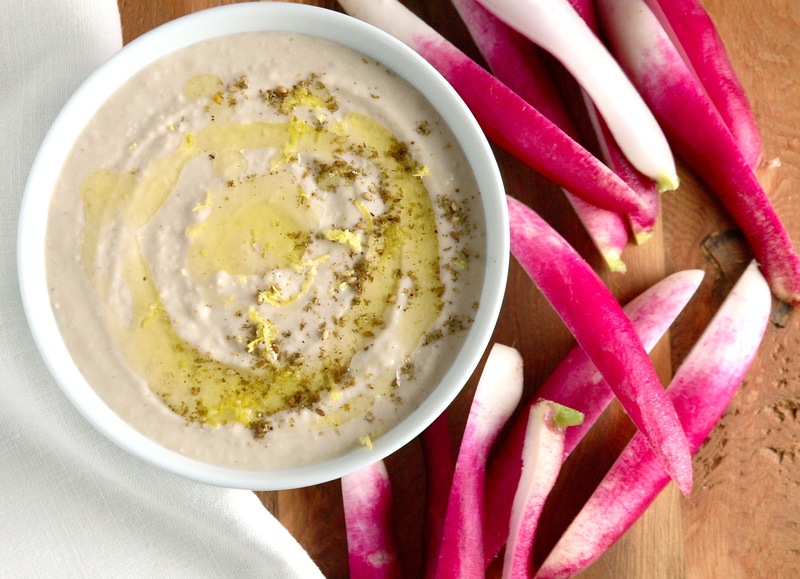 An easy creamy white bean hummus livened up with lemon zest and za'atar and better than store-bought. Pair with fresh veggies to scoop up every last bite. Add the garlic, cumin, za'atar, olive oil, half the lemon zest and salt. Process for 30 seconds, scrape down the sides if necessary and process for another 30 seconds. Add half the white beans and process for 1 minute. Scrape down sides and add the second half of white beans to the bowl. Process for 1-2 more minutes, until creamy and smooth. Taste test and dd more salt if necessary. 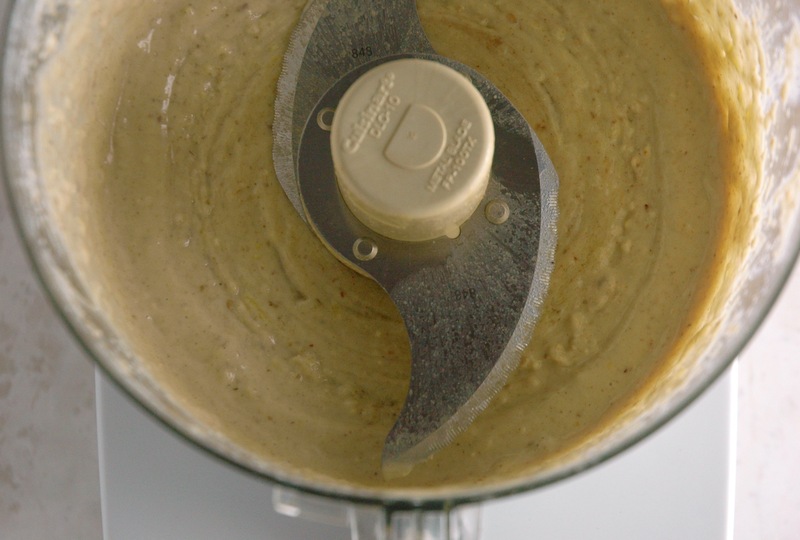 At this stage, the hummus is usually smooth enough for our liking, but if it's still a bit grainy, add in 1/2 tbsp of water at a time while the processor is running to reach your desired texture. Top with a healthy drizzle of olive oil, the remaining lemon zest and a sprinkle of za'atar. If you have some flaked sea salt, top with a tiny bit of that too!